Hardeman is a concrete and landscape construction company established in 1986. Our quality service and workmanship have helped us build a strong reputation throughout the Tampa Bay Area as a dependable and competitive company. Hardeman can provide a comprehensive list of services for your concrete project including structural, specialty, masonry, flatwork and curb services. Hardeman’s project managers and superintendents have decade’s worth of concrete construction experience and have systematic practices to ensure a quality product. Hardeman stands out from our competitors by performing with minimal assistance from subcontractors which guarantees us control of scheduling and quality. Our 15 acre property in Dover allows us to store all the tools and equipment necessary to get the job done such as our trench curb machine, and heavy earth moving equipment. Our downtown Tampa office staff utilizes our latest software “Builder Trend” along with AutoCAD version 2014, Microsoft Office Products and several utility programs, to produce uniquely functional estimates, takeoffs and designs in a cost efficient and timely manner. Imperial 1 Pavers LLC is a masonry contractor / mason serving the Tampa, FL area. Services include Mason, Masonry Repair, Travertine Pavers, Pavers, Patio, Retaining Wall, Brick, Cement, Stone, Concrete, Steps, Fireplace, Chimney, Sidewalks, Hardscaping and Driveway. The Paver Installer is a full service paver specialist, providing quality work to homeowners and corporate/industrial. As a family owned and operated business we take pride in every job to make sure that each project is completed as if it was our own. Quality guaranteed… Serving All Of Tampa Bay Area Personalized Service Hundreds Of Satisfied Homeowners and Clients Call Now For Your Free Estimate We enjoy what we do, are constantly striving for excellence and warranty our work from the ground up. Some services that we offer: retainer walls, brick paver patios, walkways, pool decks, overlay systems, driveways and much, more with all of the colors, shapes and sizes that you can imagine! We work with the best brands of pavers and we do all the installation. We would be glad to provide you with a list of projects that you could drive by to determine if a paving stone driveway, walkway or front porch gets you excited. Please call for a free consultation, estimate and references. Family owned and operated since 2001, we offer start-to-finish solutions for every project. We Specialize in Driveways, patios, slabs, sidewalks and more! Contact us today! At Gemstone Concrete Coatings, we use only superior products for all acrylic and epoxy coatings. Customer satisfaction is our priority, which is why we guarantee an eye for detail and well-maintained quality to ensure repeat customers. Here at JD's Lawn & Landscape Service, we pride ourselves in excellent craftsmanship and superior customer service. For all of your landscaping needs, give us a call at JD's! My name is Patrick Bush, owner and operator of GulfCoast Land Design. In 1983, we started with a single lawn mower as Gulf Coast Landscaping. My family and I have always taken a down to earth approach with all of our clients and are proud to say that many of our original clients from the 80's are still with us today! Gulfcoast Land Designs is a family owned and operated business that has been serving the Pinellas County area since 1983. 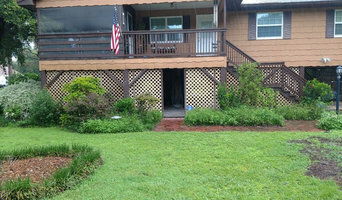 We are experienced in both residential and commercial landscaping. 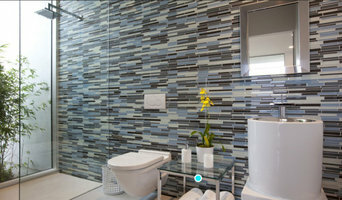 We work closely with each client to create a design for your space that brings all your visions to life. We take pride in your property and whether you need a small makeover or a complete renovation, we are prepared to tackle your project today! Our goal is to make sure your transformation is on time, within budget, and will look amazing for years to come. 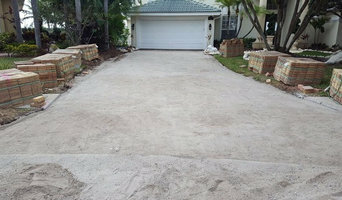 Among providers of St. Petersburg, FL, concrete restoration, Suncoast CTI is a top-notch choice. Our staff members are highly trained in using effective restoration techniques, and we use quality products in our work. We'll repair any imperfections while working in an efficient manner, and you can rely on us to supply prompt project completion. Our services are ideal for driveways, pool decks, walkways, and patios, and by providing high-quality work, we aim to give you an excellent value for your money. After we assess the condition of your concrete, we can give you an accurate estimate for our work, and our staff members are knowledgeable about all aspects of concrete restoration. We also provide decorative concrete services and offer tough coating that's twice the strength of normal concrete.